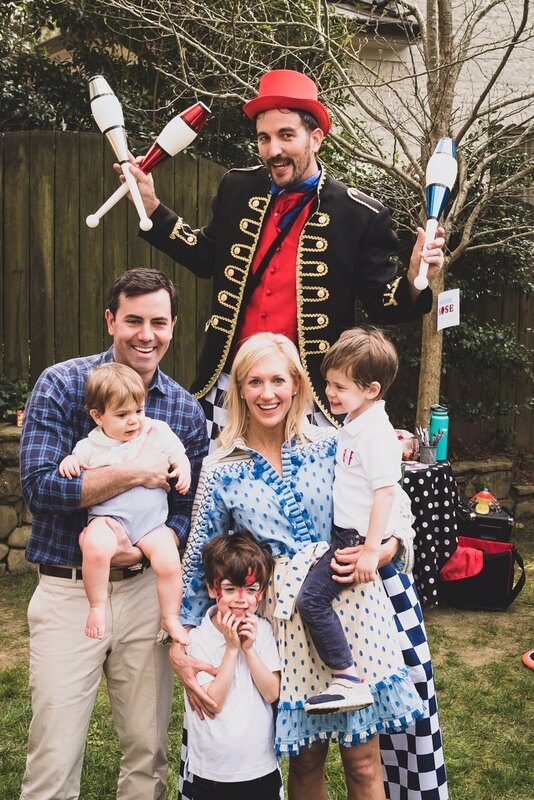 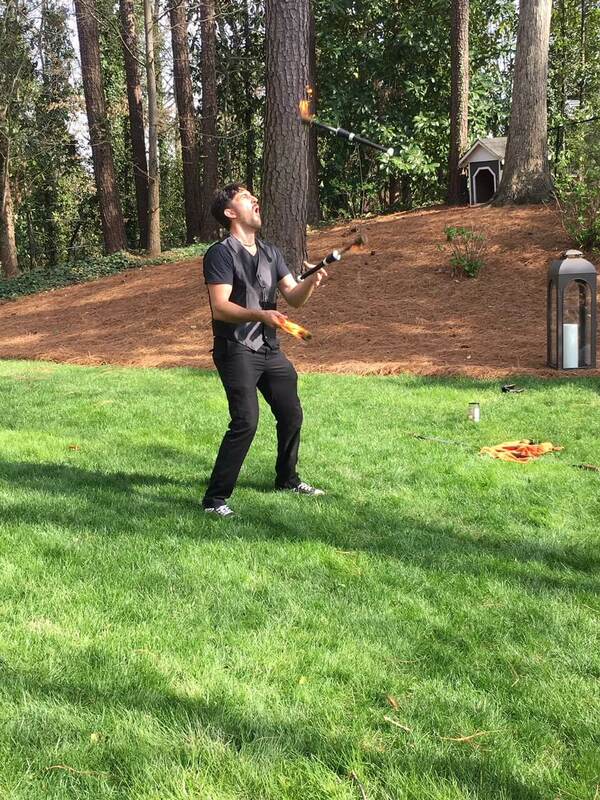 Step right up for Sawyer’s adorable backyard circus birthday! 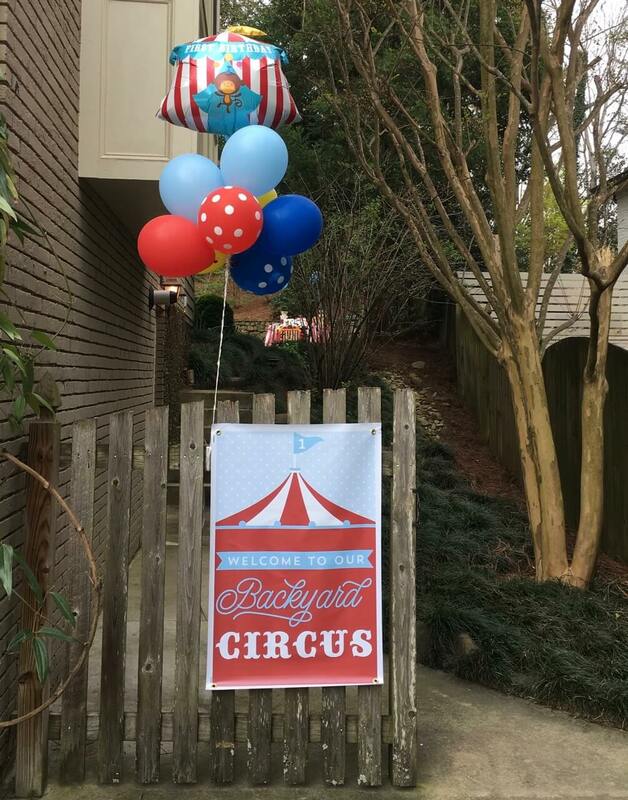 There is just something about a birthday in your own home; it’s more personal, you can decorate it cuter, and the circus “under the big top” theme is perfect for it! 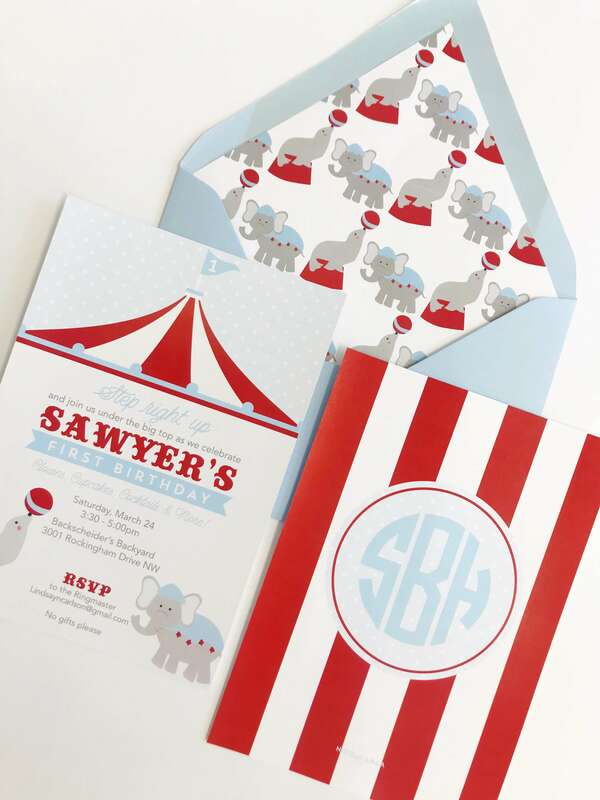 For Sawyer’s invitations, we designed an adorable seal and elephant in circus gear, topped with a red and white striped canopy tent! 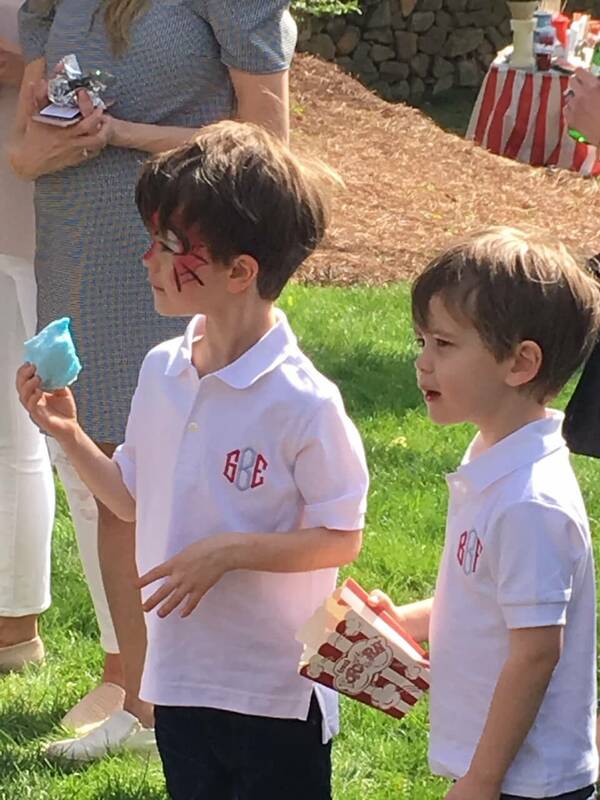 The circus animals were used in a pattern on the liner, and the reverse of the invitation featured the birthday boy’s monogram! 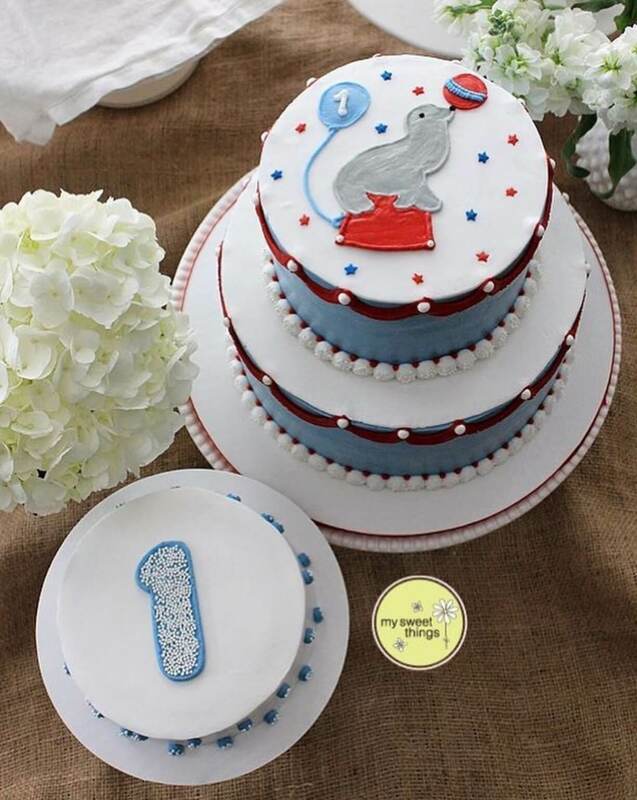 With baby blue and red, it had a sweet baby feel for his first birthday! 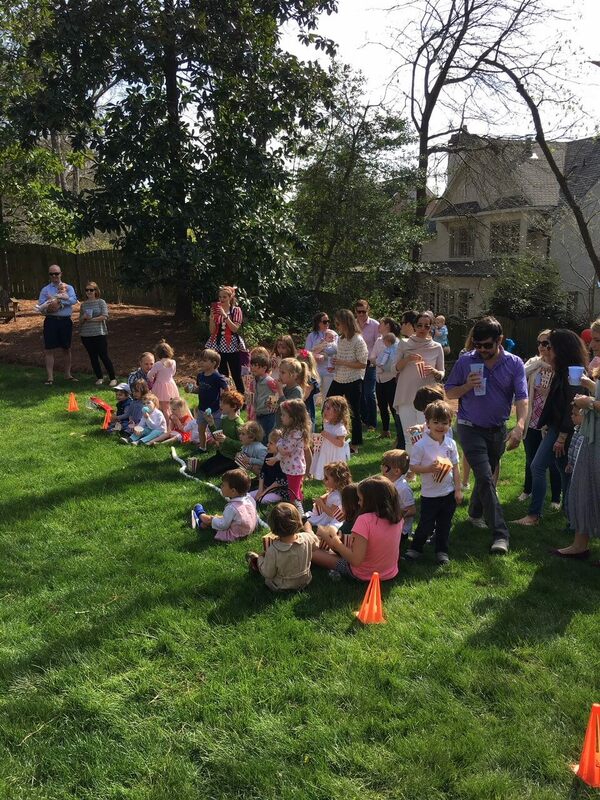 A welcome sign was designed oversized which welcomed everyone to the backyard and mom Lindsay hired a fire thrower and a juggler and face painter! 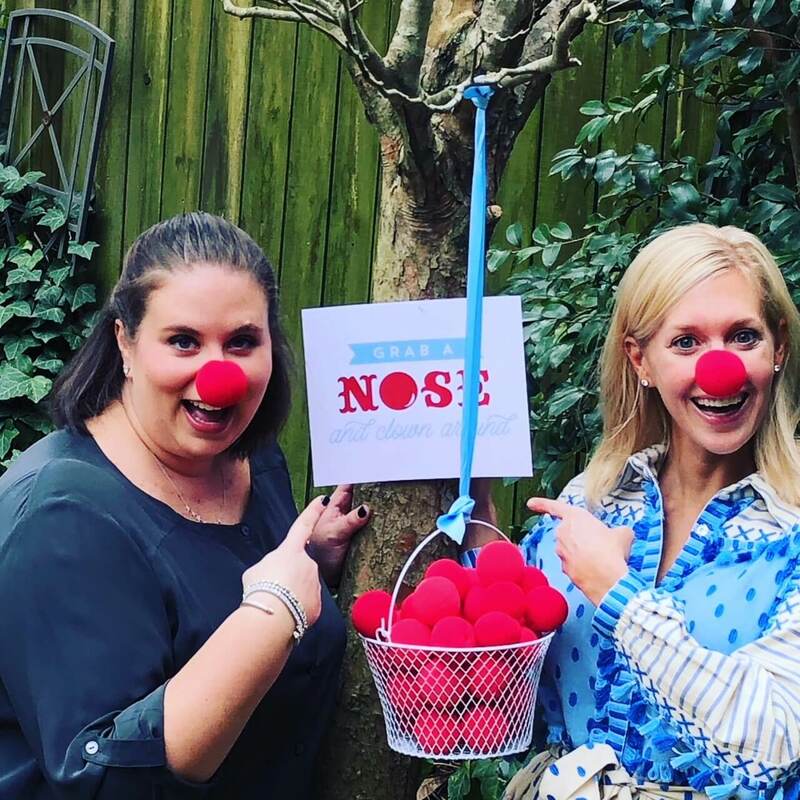 A pail of red noses was hung from a tree for party goers to wear and we designed signage throughout as well as cups and napkins! 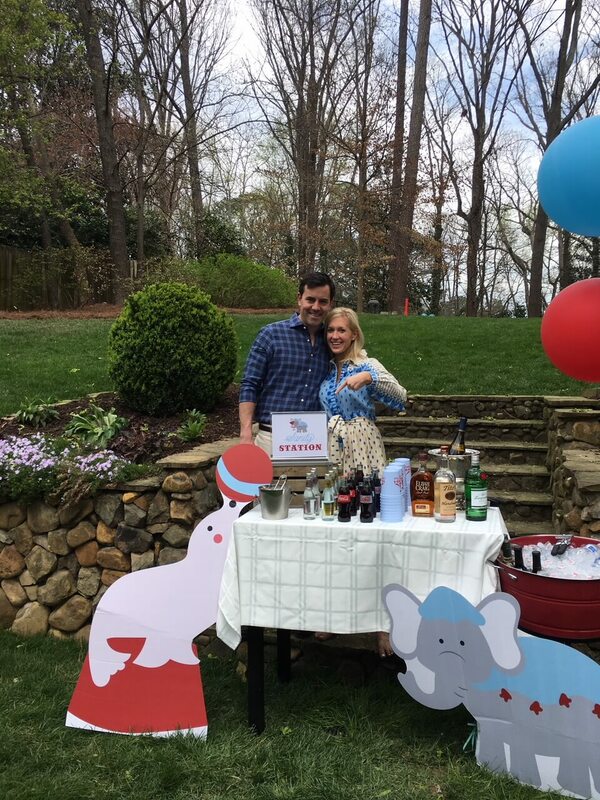 Of course there was the “Sanity Station” with adult beverages! 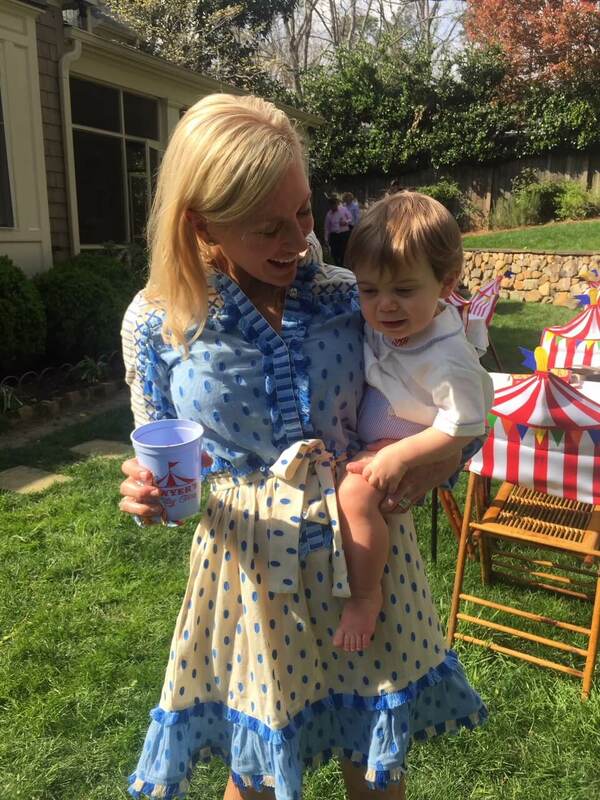 We also designed cute cut outs of the circus animals from the invitations which were scattered in the yard! 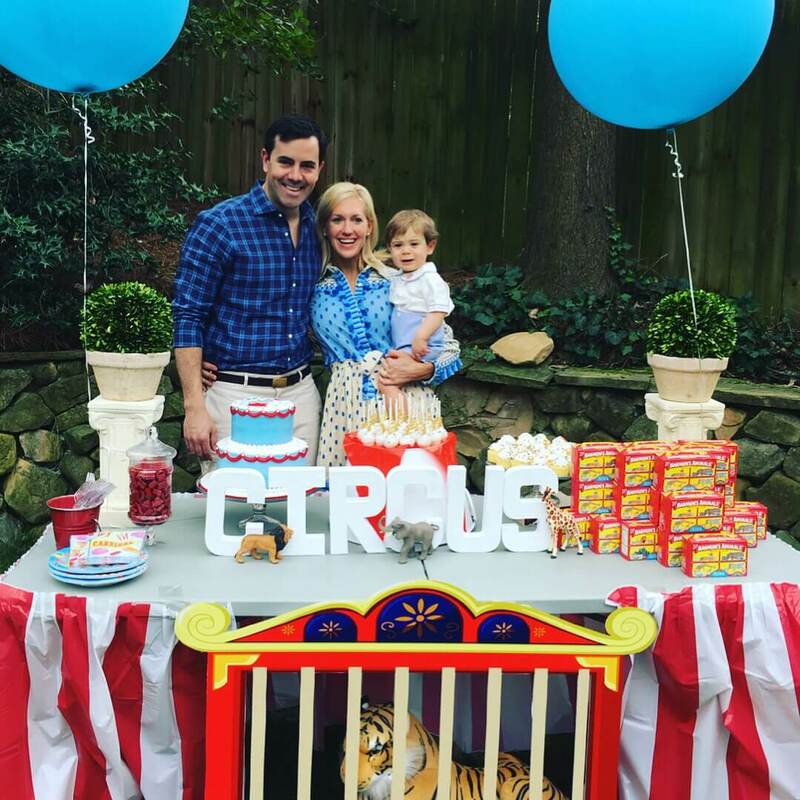 The backyard circus birthday cake was unbelievable and matched the invitations perfectly! 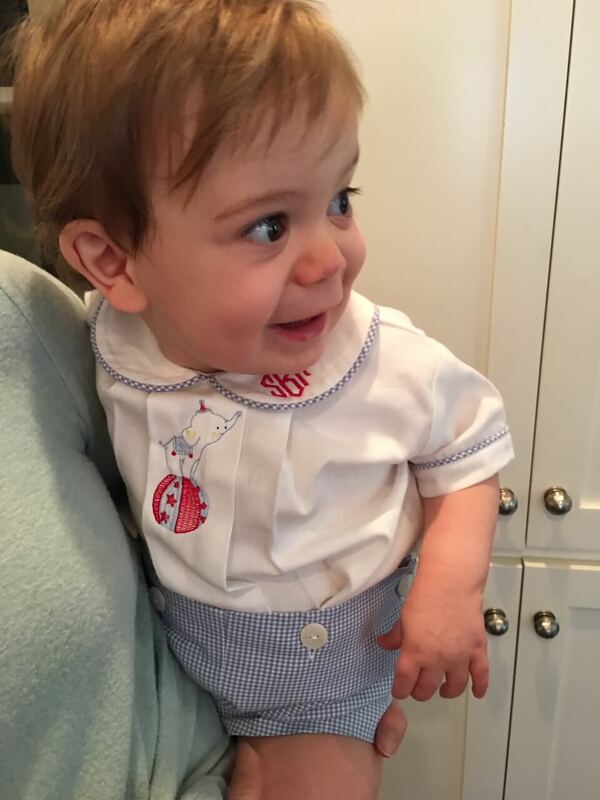 We love when clients use our design to base other elements off of! 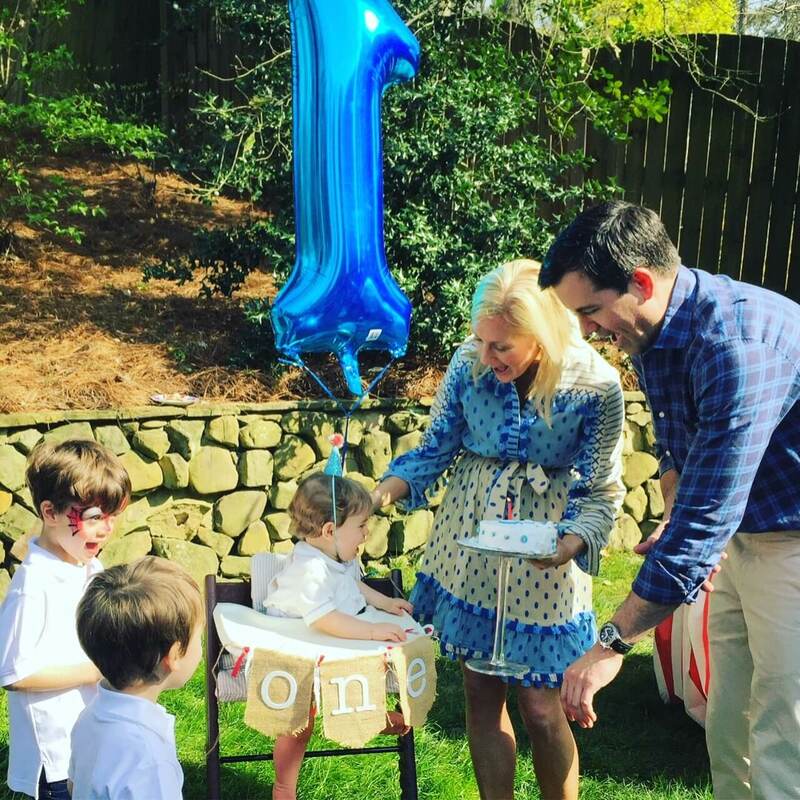 This looks like the greatest birthday show on earth!